If you already have bark mulch on your planting beds, you may just need to “fluff” it up using a metal rake. If you are hitting dirt or if the soil is showing through, it’s time to apply more. Apply bark mulch 2-3 inches thick. One yard will cover approximately 100 square feet. Apply evenly throughout planting beds. 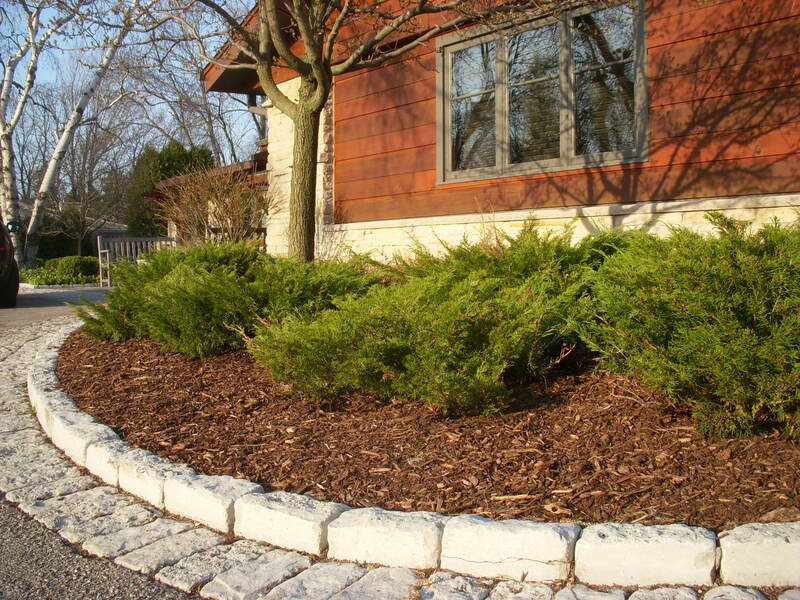 Keep mulch away from tree trunks, bases of shrubs and wood siding. Lightly topdress around tender perennials. 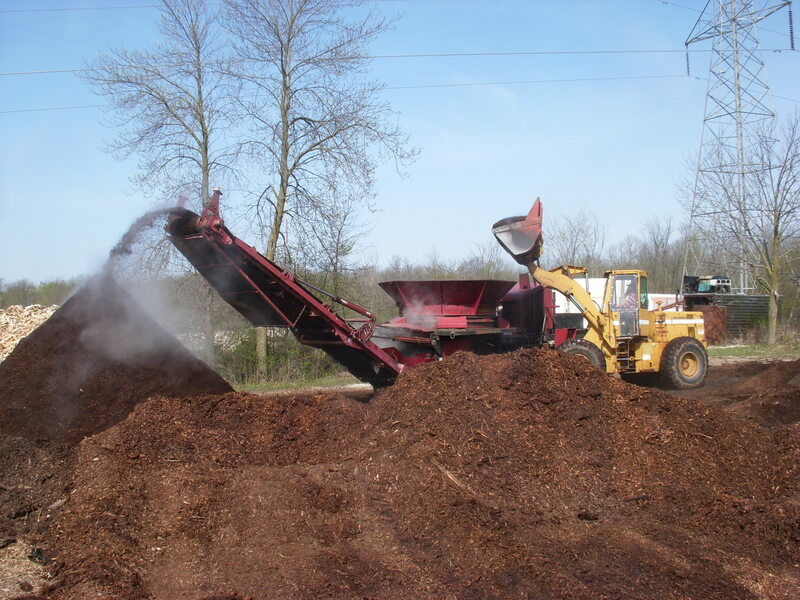 At Wandsnider Landscape, we use our own double ground hardwood mulch produced from local trees. 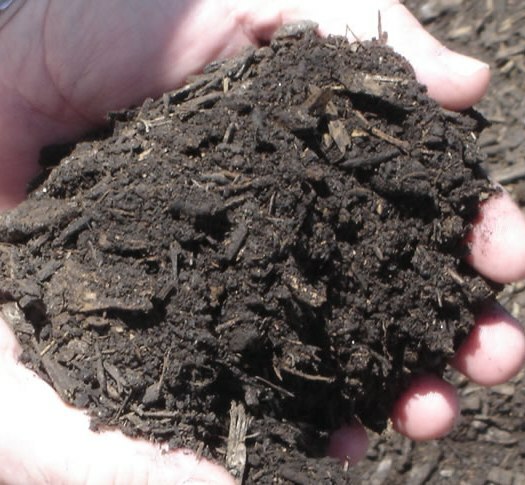 Apply a further composted bark mulch on planting beds with tender perennials and ground cover plants. 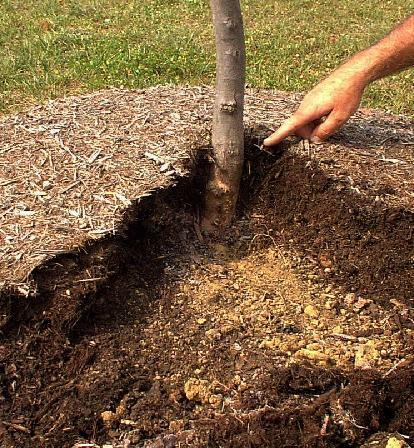 Keep bark mulch away from bases of trees and shrubs.